If your foot and ankle swelling is more of an ongoing condition rather than an overnight phenomenon and you’re overweight, the two things could be related. When carrying extra weight, your body has a harder time with circulation. This can lead to fluid buildup in the extremities, which gives your feet and ankles that swollen appearance. If your overweight condition is making your feet and ankles swell, it’s time to make some exercise and dietary changes before things get worse. Waitresses and others who have to stand for long periods of time at work often come home with swollen feet and ankles. Since this is a benign and temporary condition, there’s no reason to be alarmed. Still, the swelling can be uncomfortable. For quick relief, lie down with your feet and legs propped up over the level of your heart. This will facilitate movement of bodily fluids away from your lower extremities. Edema is a general term for severe bodily swelling. Kidney failure edema is directly related to loss of kidney function. Your kidneys are responsible for cleaning and clearing bodily fluids. When they stop functioning efficiently, your body builds up dangerous amounts of toxic fluids. Feet and ankle swelling that is combined with purple or mottled skin tone or pain may be caused by kidney failure edema or something else more serious. Consult with a foot and ankle specialist right away, especially if the swelling has come on unexpectedly. Foot and ankle injuries often lead to swelling. 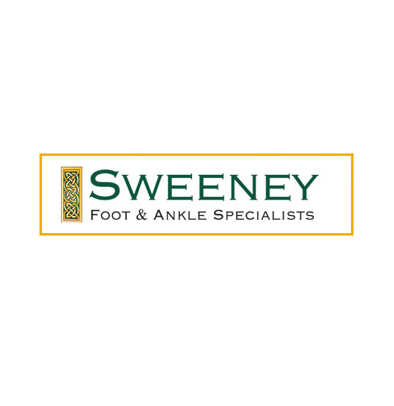 Whether you injured yourself running, walking or something else, it’s very important to have the injury looked at by a foot and ankle specialist. Swelling can inhibit healing of the injury, and it needs to be carefully managed. You may also have minute fractures or other internal injuries that are not readily apparent to the naked eye. For immediate relief if you’ve injured your foot or ankle, the first thing to do is to take the weight off of it. Call for assistance if you’re alone so you don’t have to walk on the injured foot. At home, apply an ice pack for a few minutes to help keep the swelling down and lessen the pain. An over-the-counter pain medication is okay to take, too. After that, you should contact a foot and ankle specialist for additional instructions or to make an appointment. The sooner you treat the injury, the better the outcome for a speedy recovery. There are many possible causes of foot and ankle swelling. You never want to risk permanent loss of mobility when you don’t have to. If you notice worrisome swelling or if you have additional symptoms, be sure to contact a medical professional for advice.